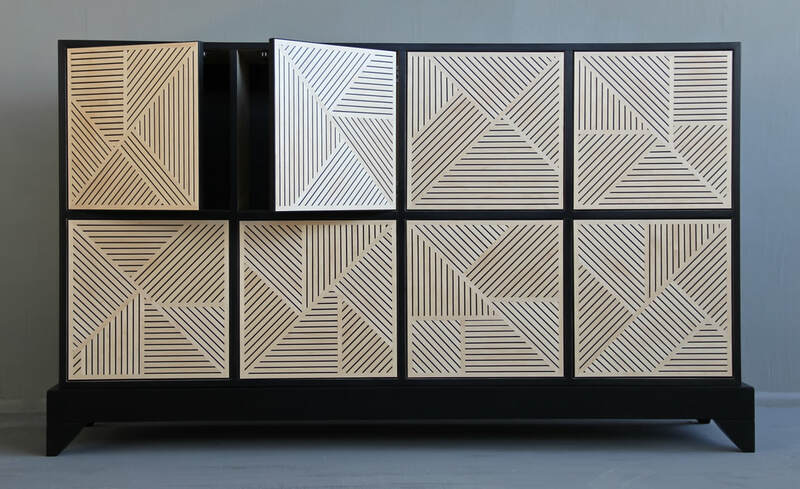 This cabinet embodies the essence of art and function. 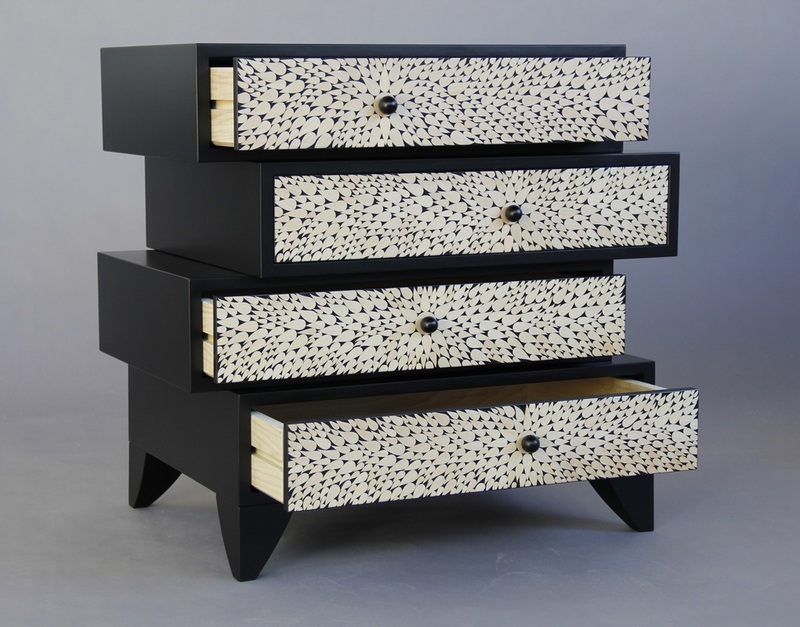 Perfect for storing TV and audio components, books or other personal treasures. Available in your choice of wood. Features a shelf in the middle of the cabinet and openings for electrical cords are available upon request. Dimensions: 33.0in H x 30.0in W x 15.0in D.
The CubiCab is a multi-functional piece of furniture. 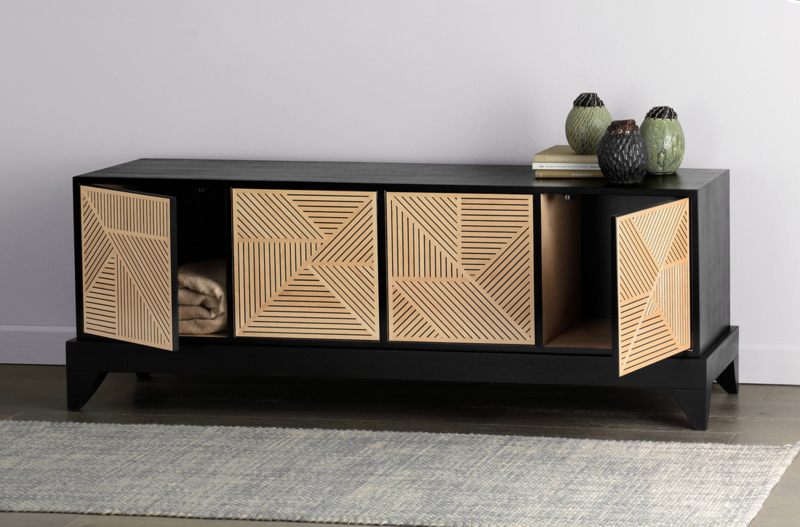 Cabinet, side table, end table, and nightstand all in one. A 17.5" cube is set upon a 7" tall base with splayed legs. Features include an inset door front with a touch latch, push to open door. Currently available in four colors. Ice Blue - Willow Green - Walnut - Plum. Exterior and interior finished with satin white lacquer. The visual effect is achieved by individually applying 64 dyed wood veneers perpendicular to one and another. The piece actually changes as you move around it. 256 inches of Mod color. Price: $895.00 which includes Free Shipping. Contact kevinirvin@cox.net. 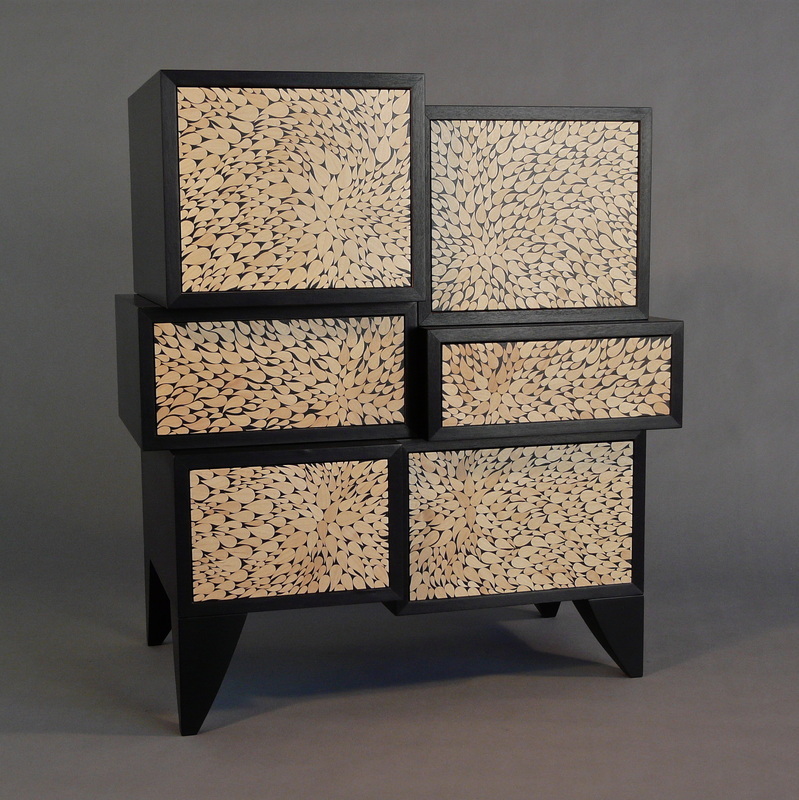 The Rexing Cabinet combines streamlined design with a unique and intricate surface texture. The top, sides, and door fronts are comprised of hundreds of hand-cut and applied veneer shapes that are finished with a semi-gloss white lacquer. Door pulls and perimeter trim are fabricated from American walnut. Features include push-to-open doors and two interior shelves. 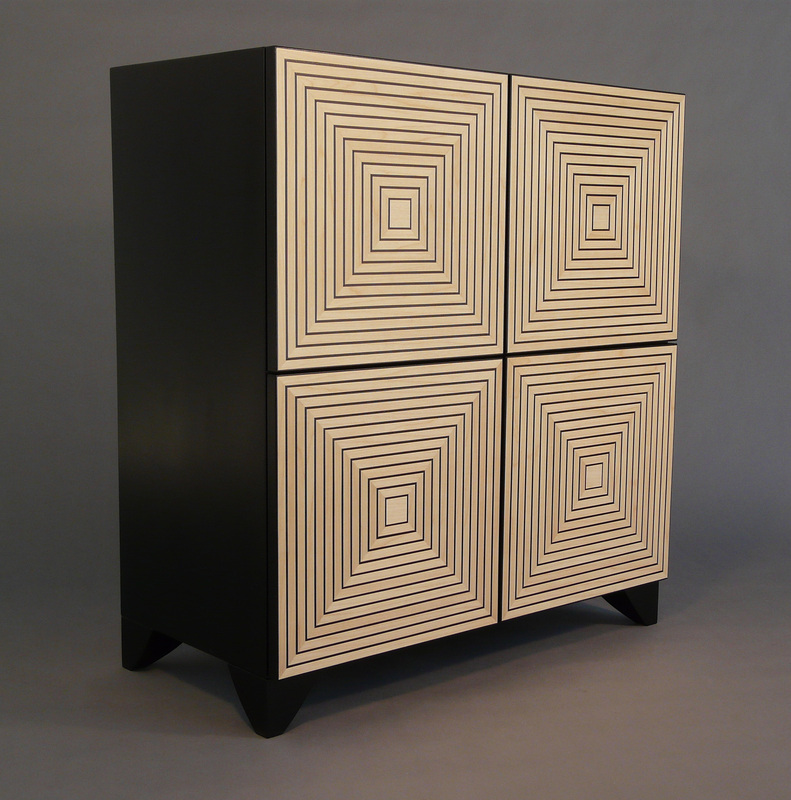 The Helix Cabinet consists of five stacked 12" cubed cases which gently twist from bottom to top reminiscent of a helix shape. 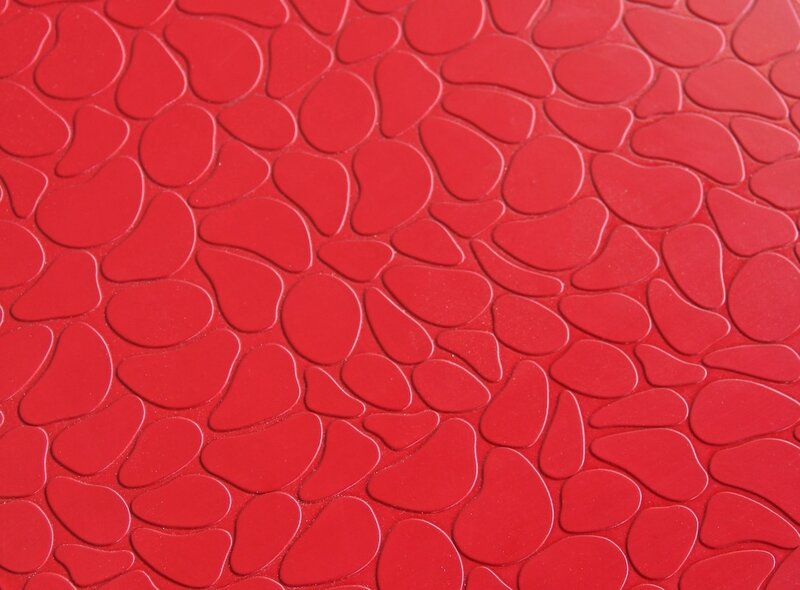 Each case is completely covered with a cobblestone pattern of maple veneer shapes. 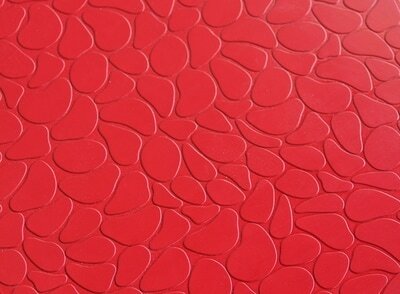 Finished in a high gloss red, white or black enamel or lacquer depending on color choice. Features push to open door fronts and chrome polished metal legs. 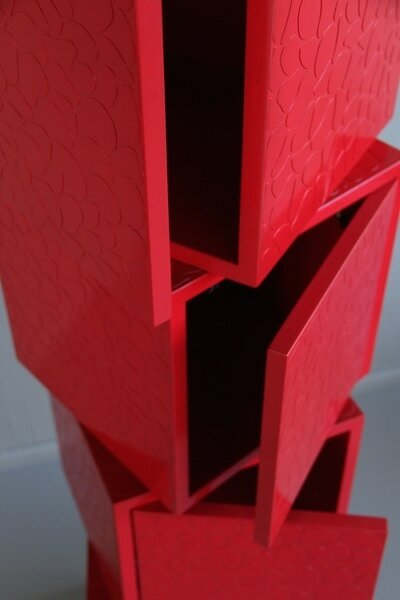 Dimensions: 16"W x 16"D x 65"T.
Available in red enamel, black lacquer and white lacquer. 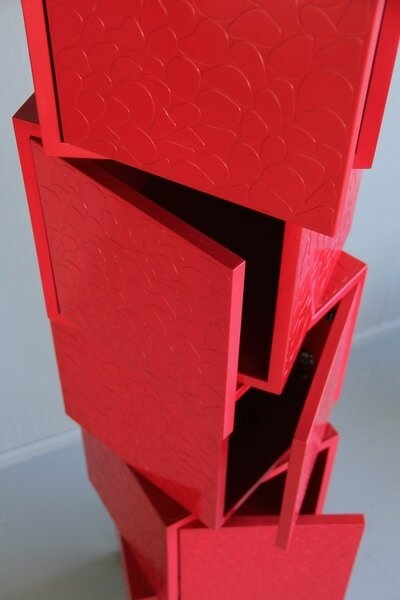 The Tower Cabinet is available in a variety of styles as seen below. 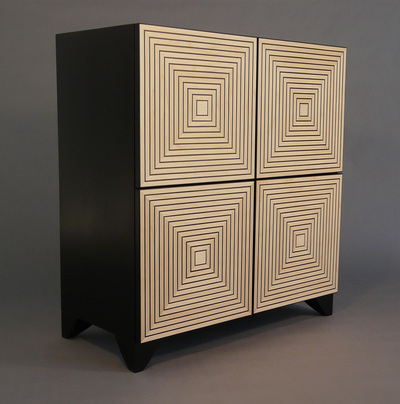 Each cabinet measures 73" x 13" x 13". It's slender elegant shape allows it to be placed in almost any room environment as it occupies a mere one square foot of floor space. 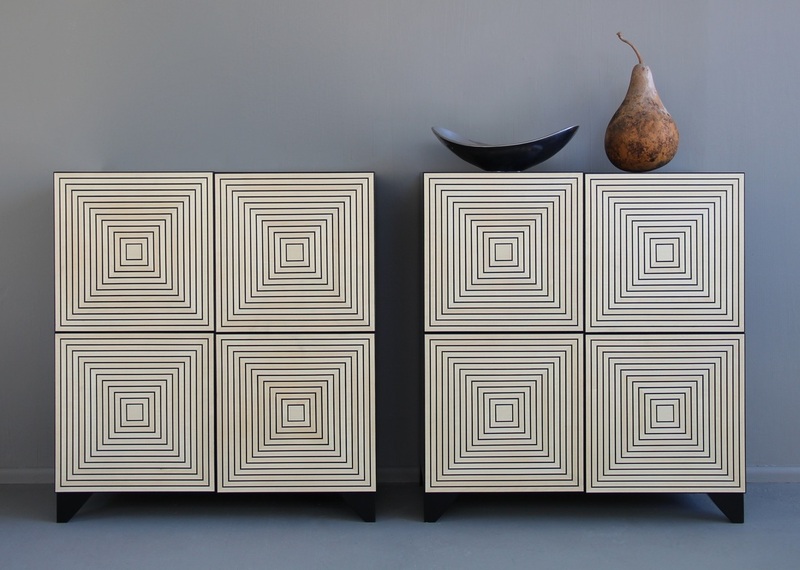 Each cabinet features soft close hinges for the full overlay doors and push to open hinges for the inset doors. Available in a variety of colors. 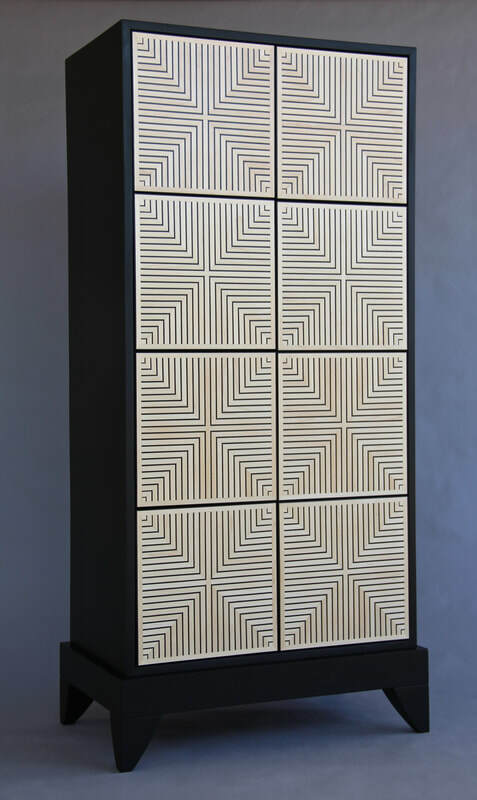 This cabinet incorporates six individual cabinet cases with inset door fronts that features a crosshatched pattern. Each piece is applied individually. Dimensions: 33"T x 53"W x 15"D. Made of white sycamore and black lacquered maple. Push to open doors. 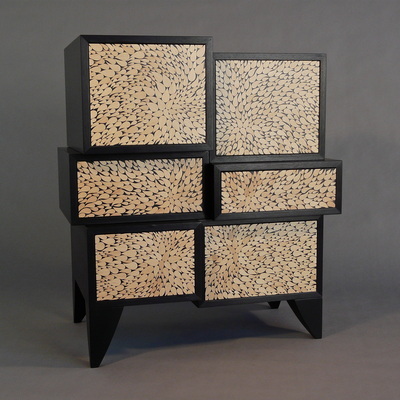 The Botanical Cabinet is actually six individual cabinets in one. Each individual cabinet case is offset from it's corresponding case in both it's depth and width. 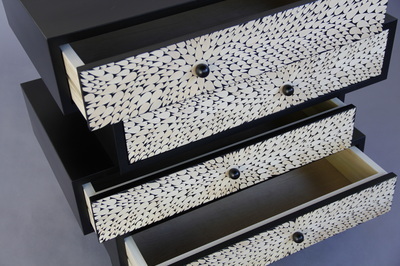 The door and drawer fronts are comprised of thousands of individually cut and applied wood veneered leaf shapes. 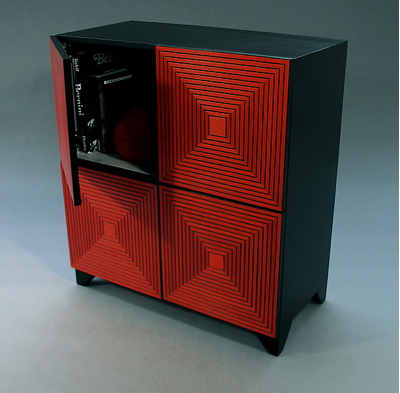 Features include push to open doors and drawers. 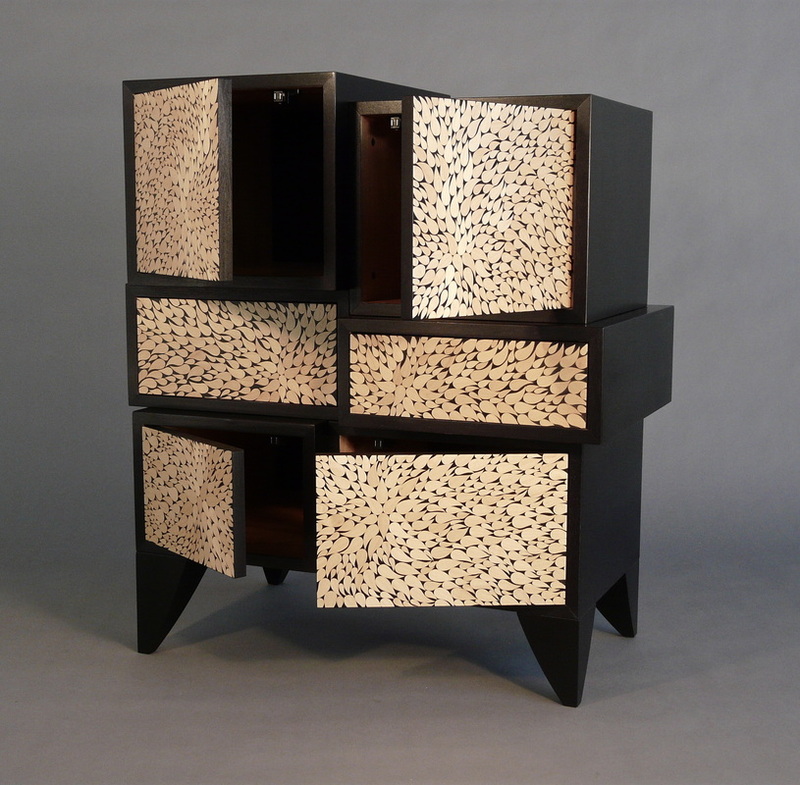 Fabricated with black lacquered maple plywood and maple, walnut or red dyed koto leaf fronts. Dimensions: 32.0in H x 28.0in W x 16.0in D.